D.C. — What began as a small collection of infrastructure projects in neighboring countries in 2013, has now expanded to neighboring regions and continents, impacting 65% of the world’s population, and 40% of global GDP. Primarily funded by private investors, State-Owned Enterprises (SOEs), the Asian Infrastructure Investment Bank, and China’s Exim Bank, the Belt and Road Initiative (BRI) is China’s flagship of foreign policy and investment. Encompassing massive economic corridors, transportation routes, and critical infrastructure across 68 countries, BRI is nothing short of the most ambitious development project in history. The incentive for the initiative stems from a shared desire to improve transcontinental connectivity in commerce and people-to-people ties by offering massive investment, inexpensive credit lines, and excess Chinese capacity in steel and cement — all vital to critical infrastructure projects. In turn, Beijing aims to realize the return on BRI investments through the expansion of its geopolitical and economic spheres of influence. Initially driving investment in transportation routes between Eastern and Western China, an economic corridor through Pakistan, and deep sea port development in Sri Lanka, BRI projects quickly spread from Central and Southeast Asia to Eastern and Southern Europe. Already the EU’s second-largest trading partner, China offers Europe abundant opportunities to improve transportation in the Eurasian corridor by decreasing transportation costs, transit times, and carbon emissions. As international trade routes operate now, importing Chinese products can be rather cumbersome. The most cost-efficient route can take up to 40 days on a container ship. To reach European markets from coastal China, a freight ship must sail through the Strait of Malacca, across the Indian Ocean, up the Red Sea, and through the Mediterranean Sea to round Iberia and Normandy, and finally pass through the English Channel to dock at the deep-water ports of Rotterdam and Hamburg. With new high speed rail across Central Asia, trains could freight materials by land directly from China to the European Union. According to research from the Center for Economic Policy Research, new transportation routes created by BRI infrastructure projects will decrease shipping times and costs by 3.5% and 4% between BRI countries and by 2.8% and 3.2% with the rest of the world. Although there are numerous ways in which Chinese investment — within and apart from BRI — can benefit Europe, the European Union remains wary of increasing Chinese influence within its member states, and with good reason. In 2017, China’s state-owned enterprise (SOE) COSCO Shipping, one of the world’s largest ocean carriers, bought up a 51% share in the Port of Piraeus — Greece’s largest port. Athens subsequently blocked a joint EU statement on Chinese human rights abuses at the U.N. Human Rights Council in Geneva. Far from being an isolated incident, Chinese lobbying of the kind seen in the Port of Piraeus has become China’s M.O. in exercising economic sharp power in Europe. While the Belt and Road Initiative is an opportunity to foment economic development and stability across Eurasia, it is also the disguised economic engine of Chinese geopolitical statecraft. Beijing seeks to insinuate itself into the European dialogue and policymaking process to undermine European unity to gain preferential access to European markets and limit the ability of the European Union to exercise collective foreign and economic policy that hampers China’s geopolitical ambitions. Where Russia seeks to challenge and disrupt Europe through disinformation and military posturing, China seeks to assert its will into European policymaking to manipulate the geopolitical climate to its advantage. In recognition of the threat to collective policymaking, on 20 November, after less than 18 months of negotiations, the European Parliament, Council, and Commission committed to the creation of an investment screening mechanism. The unprecedented speed and unity on this issue marks the gravity with which the European Union perceives the threat of Chinese economic influence in the European theater. Although the mechanism applies broadly to all FDI in the European Union, the motivation to protect the EU’s domestic interests through its creation is evident. The EU also appears acutely aware of the need the accompany investment screening with its own economic development initiatives. Greater EU investment in Southern and Eastern Europe would strengthen political ties with Northern and Western Europe. It would also provide an economic alternative to Chinese investment in European countries with higher unemployment, emigration, and hostility towards the political elite in Brussels. The EU recognizes that without a significant economic alternative, Europe’s poorer countries are willing to file in line with China’s geopolitical ambitions so long as they reap the benefits from Chinese investment. China has already invested €600 million in the Port of Piraeus in an attempt to modernize the port, which is poised to bring in thousands of logistics jobs and an increased demand for further infrastructure investments from Greece, inland to Western Europe. China’s success in pressuring Greece to block a joint statement against Chinese human rights abuses at the UN is undoubtedly alarming to European national security policymakers. Nevertheless, it’s important to recognize that Greek politicians are beholden to their constituents, who might be willing to overlook criticizing Chinese human rights for the economic benefits that accompany Chinese investment. Even with enhanced investment screening, the EU’s foreign interests remain vulnerable. On 21 September, following a 2017 “Joint Staff Working Document” on a “Euro-Asian Connectivity Mapping Exercise,” the European External Action Service adopted an “EU Strategy on Connecting Europe and Asia,” hereafter referred to as the Euro-Asian Connectivity Initiative (ECI). Implicitly designed to respond to the geopolitical ambitions of the BRI, the ECI aims to further develop the EU’s own soft power through increased economic and diplomatic presence within its Eastern neighborhood and beyond. Adapted to “pursue a 'coherent approach' to connectivity” which “encompass[es] all modes of transport links (land, sea and air) as well as digital and energy links in the Euro-Asian area,” the ECI will likely become an integral part of the European Union’s Common Foreign and Security Policy (CFSP) in the East, providing an economic and diplomatic framework for future relations. The question remains, will Europe’s ECI come into direct competition with China’s Belt and Road Initiative? Although Europe and China have differing visions for Eurasia, many of their fundamental goals are shared. Both Europe and China recognize the potential for economic growth at home and abroad by bringing the two ends of Eurasia closer together. Fostering greater connectivity and trade through Central Asia would not only drive down the costs and time required of maritime shipping, but also provide economic stimulus for developing economies in the region and greater access to rich natural resources. As Central Asians’ mobility and wealth increase, greater connectivity will encourage stronger people-to-people ties through shared education, research, innovation, culture, and tourism. China and Europe also share a mutual interest and commitment to the political stability and security of periphery countries at the nexus of Europe and Asia which can be strengthened through economic growth. However, Europe’s vision for Eurasian connectivity is to encourage economic development, good governance, and open society through adherence to “principles of sustainability, transparency, market principles, open procurement rules, a level playing field, as well as equal treatment and equal access.” Likewise, Europe will likely require benchmarks for the respect of human rights and democratic governance to its investment proposals through the ECI. In addition to these laudable goals, the EU will, nonetheless, seek to develop its own soft power and influence throughout Central Asia, in part for its own merit and in part to counter the influence of China over the heartland of Eurasia. In contrast, China is solely dedicated to reaping economic benefits and accruing political leverage over key routes of connectivity, reflected by its lack of insistence on governmental transparency, respect for human rights, or equal access to investment opportunities. Most BRI contracts are ultimately chosen by Beijing. However, Chinese investments often come with a ‘no strings attached’ policy which may appeal to countries reluctant to meet Western provisions for economic and political liberalization. Even within non-EU European nations, the temptation of Chinese investment funding is strong. There are fewer bureaucratic delays and stipulations attached to massive infrastructure investment projects when dealing with an autocratic regime. China has the financial resources, enterprise, and political wherewithal to invest billions in new development projects overnight. In the eyes of EU candidate countries, Chinese investment is a godsend. Among the EU’s Copenhagen Criteria for European Union membership, countries must have a well-developed and stable economy to integrate well into the single market without posing themselves a burden on the European economy. For EU hopefuls like Serbia, Chinese infrastructure investment reads like a golden ticket to economic prosperity and eventual EU membership. With around €5.3 billion ($6 billion) in Chinese investments in Serbia alone, the Balkans has become China’s backdoor entry to securing greater influence in the European Union. Yet Beijing’s investment overtures in the Balkans and Eastern Europe are the call of a siren for many would-be EU member states. As attractive as these investments may seem, Serbia doesn’t have to look far to get a sense of the risks that come with Chinese investment. Just 500 km from Belgrade, Montenegro embarked on an ambitious project in 2017 to connect their port of Bar to mainland Serbia, largely funded by China’s Exim Bank. China’s “if you fund it, they will come” approach to economic development may not actually yield the short and long term results it promises. What’s even more disappointing for the Balkans is the use of Chinese labor and capital to advance these projects — in Montenegro, 70% of the workers on the port of Bar project are Chinese. China is, in essence, driving Montenegro into debt to finance a project with highly questionable economic returns while using primarily Chinese labor in Serbia’s backyard. Belgrade should take note. For now, the EU’s dualistic response to China’s increasing sharp power is encouraging. A stronger investment screening mechanism will ensure that European countries agree to infrastructure projects or loans on financially stable terms and will prevent China from buying up industries that could threaten national security. At the same time, EU funding initiatives will provide an economic alternative to Chinese investment and will bolster political ties with European, Central, and South Asian countries. American hegemony over the post-Cold War liberal world order grew out of an alliance of Western countries adhering to free market economics, democratic soft power, and control over the global commons. While China has no ambition to replace the United States and become a global hegemon, but rather aims to displace the West’s influence by leveraging Chinese capital, technocratic policymaking, and foreign debt. By amplifying its political and economic soft power through BRI investments, China simultaneously creates and controls the means by which its economic power is exercised through BRI countries. The renowned scholar of Asian geopolitics Parag Khanna tells us that the driving force of the 21st century will be the ever-closer economic and people-to-people ties between nations around the world. He is right to claim so. Connectivity — and the means to control it — is the new currency of geopolitics. The European Union is gradually coming around to this way of thinking, but its implementation in foreign policy remains slow. The ECI marks a first step towards pursuing a greater presence in Eurasian connectivity projects and policymaking. As Europe moves closer to a state of strategic autonomy, it must develop a more comprehensive, efficient, and effective foreign policy regime to keep pace with China’s expanding influence. Great strides have been taken already by establishing a screening mechanism for FDI, establishing the Permanent Structured Cooperation, and elaborating upon the European Union’s Neighborhood Policies. Nevertheless, Brussels needs to develop a more cohesive strategy to address Chinese sharp power influence in Eastern Europe and Central Asia. The European Union has yet to reconcile its own principles with its nascent role as a regional hegemonic power. Maintaining and promoting liberal international values of democracy, free market equality, and human rights are difficult to pair with the realpolitik of geopolitics in the era of connectivity. It remains to be seen if the EU has the political wherewithal to compete with China on 21st century terms. For now, the future of Eurasia hangs in the balance. 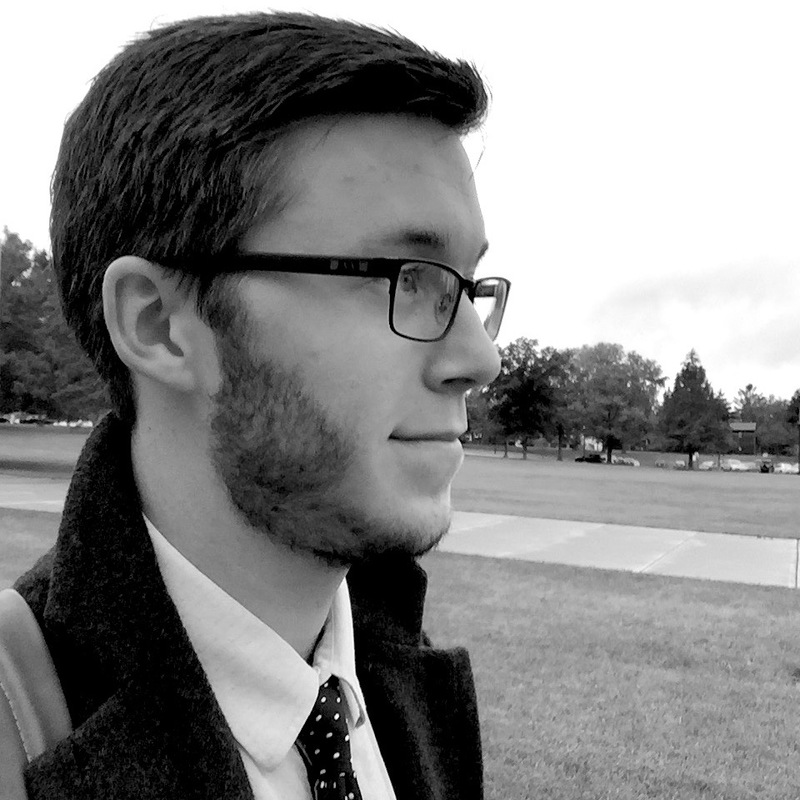 Niko Marcich is a Policy Analyst at The International Scholar. Niko focuses on Latin American affairs, international trade, and China-US relations.